When I'm developing a recipe, I search for similar recipes online and piece together various aspects from my favorites until I have something that looks like what I'm envisioning. Of course, this works better for savory recipes than it does for baking (you know, the whole science thing and all...), but having 7+ years of baking experience under my belt, I feel pretty comfortable doing it. The recipes don't always turn out the way I hope, but it always gives me a good base that I can then tweak as needed. 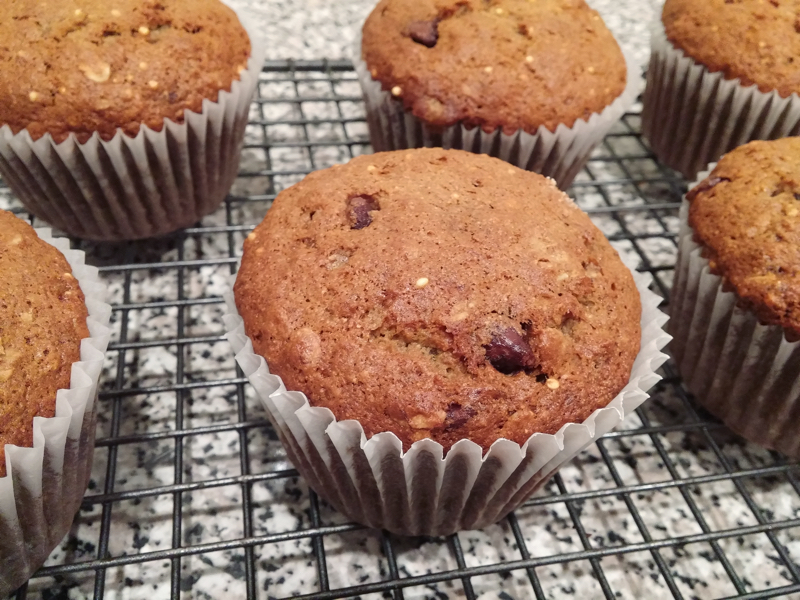 I used this process when I set out to make a healthy banana chocolate chip muffin. I took a little from recipe A... a little from recipe B... mixed in a few elements that I knew I had in the pantry... and this recipe was born. Absolutely zero tweaking needed! It's always satisfying when things bake up exactly how I'm picturing on the first try. These muffins are amazing! They're bonkers delicious! And they're healthy, I think. After all these years I'm still not really sure what qualifies something as truly healthy, but anything that's filled with whole wheat flour, bananas, oats, coconut oil, and millet can't be too bad for you. - Preheat the oven to 350 degrees. 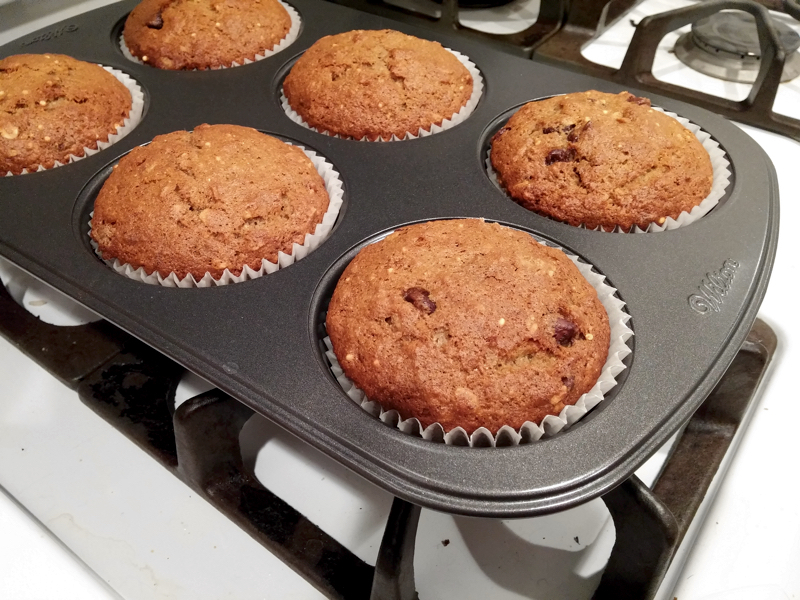 Line a muffin pan with paper liners. - In a medium bowl, combine the flours, oats, baking soda, salt, and millet. In a large bowl, mash up the bananas and mix in the egg, sugars, coconut oil, vanilla extract, and almond milk. - Stir the dry ingredients into the wet until combined. Stir in the chocolate chips. 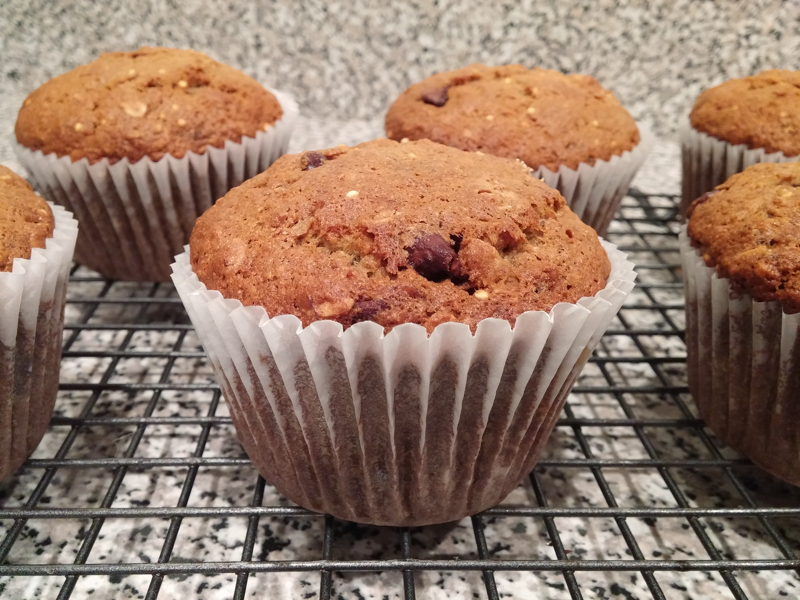 Using a scoop or a spoon, fill the muffin liners 3/4 full. Bake for 25-30 minutes* and let cool completely. Enjoy! * This bake time is for jumbo-sized muffins (the only proper way to eat a muffin, in my opinion! ); if you're using a regular sized muffin pan they will probably need closer to 20 minutes. They are done baking when you press the center lightly and they spring right back up. ** If you don't have almond milk or coconut oil at home, feel free to replace with whatever milk you have and/or a different neutral oil, like canola. I just prefer coconut oil and almond milk!